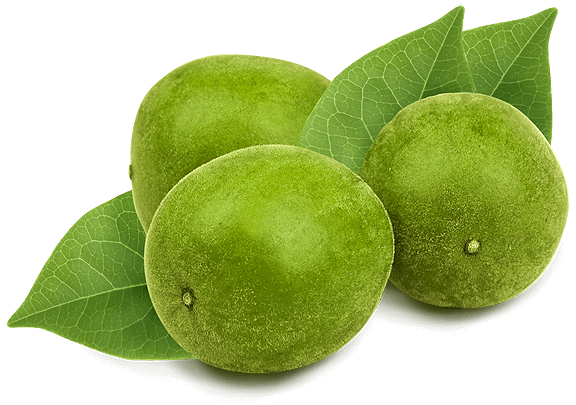 Our herbal beverages are sweetened by nature with Monk Fruit. We opted into using this sugar-free ingredient for our select products with a sweeter flavor profile. Monk Fruit is native to southern China and is traditionally used in Chinese medicine as a longevity aid. The fruit grows in a small sub-tropical melon that has been cultivated for hundreds of years. The sweetener is extracted by removing the seeds and skin from the small round fruit, crushing the fruit, and collecting the juices. The extract is nearly 300 times sweeter than sugar, however, is entirely organic and contains zero calories, zero carbs, and zero glycemic indexes––making it nothing less than a bona fide superfood. Monk fruit works as an anti-inflammatory, and is extremely potent with an antioxidant called, mogrosides. This compound tells the body to metabolize the sweetener differently than regular sugars, allowing it to have no calories and no effect on one’s blood sugar.